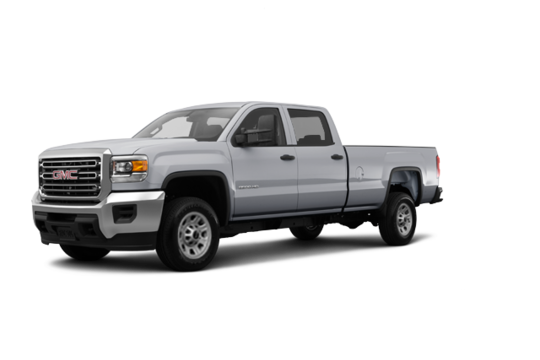 Sierra HD gets its heavy-duty power from a proven source, the available Duramax 6.6L V8 Turbo Diesel with 910 lb.-ft. of torque and 445 hp under your right foot. Prefer your power gasoline-fuelled? Sierra HD comes standard with the force and efficiency of our 330-hp Vortec 6.0L V8. SUSPENSION Front independent with torsion bars. Includes 33 mm front stabilizer bar. REAR AXLE 4.10 ratio. Requires Vortec 6.0L V8 engine. BATTERY Heavy-duty maintenance-free with rundown protection and retained accessory power. Includes dual batteries with Duramax 6.6L V8 Turbo Diesel engine. TRANSMISSION 6L90-E 6-speed automatic. Includes Tow/Haul mode, Cruise Grade Braking and Powertrain Grade Braking. ALTERNATOR 220 amps. Included with the Snow Plow Prep Package. AUXILIARY BATTERY 730 Cold Cranking Amps (CCA). Requires Vortec 6.0L V8 VVT engine. COLD-WEATHER PROVISIONS Includes front radiator grille and front bumper openings cover. Requires Duramax 6.6L V8 Turbo Diesel engine. EXHAUST BRAKE Switch activated. Included and only available with Duramax 6.6L V8 Turbo Diesel engine. INTEGRATED TRAILER BRAKE CONTROLLER Included on all 3500HD models. On 2500HD Sierra models, included and only available with Trailering Equipment Package. Allison1000 Series 6-speed automatic. Includes Tow/Haul mode and electronic Powertrain Grade Braking. Requires Duramax 6.6L V8 Turbo Diesel engine. TRAILER WIRING PROVISIONS For camper, gooseneck and fifth-wheel trailer. Includes additional 7-way wiring harness located at rear of pickup box. Requires Trailering Equipment Package. 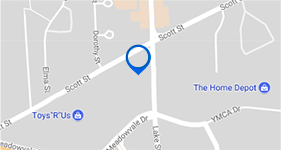 3.73 ratio. Requires Duramax 6.6L V8 Turbo Diesel engine. Front-seat-mounted side-impact driver and right front-passenger airbags for thorax and pelvis protection. Front and rear head-curtain airbags for all outboard seating positions. Included on all 2500HD models. BUMPER Front, chrome. Includes chrome skid plate on SLT models. TIRE CARRIER Exterior spare, winch-type. Includes lock. ASSIST STEPS Chromed tubular with 6" rectangular design. On 2500HD SLT model, included with SLT Gas Premium Plus Package. On 3500HD SLT model, required with Dual Rear Wheel Diesel model. Solar-Ray deep-tinted. 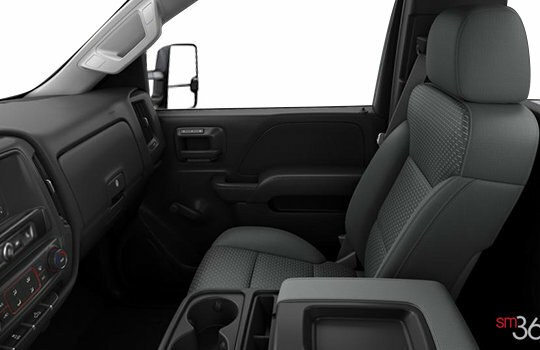 On Sierra trim, included and only available with Sierra Convenience Package or Sierra Convenience Plus Package. Under-rail LED lighting, cargo box. On Sierra trim, included and only available with Sierra Convenience Package or Sierra Convenience Plus Package. Remote locking. 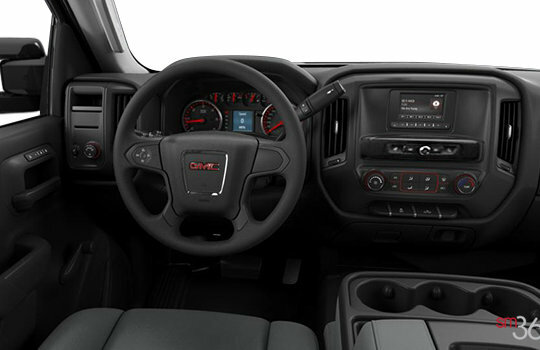 On Sierra trim, included and only available with remote keyless entry, Sierra Convenience Package or Sierra Convenience Plus Package. EXTERIOR MIRRORS Black, heated, power-adjustable vertical trailering mirrors with manual folding and extension, lower convex spotter glass, integrated turn-signal indicators, rear guidance lamps and amber auxiliary clearance lamps. On 2500HD Sierra model, requires Sierra Convenience Package when Sierra Convenience Plus Package is not ordered. 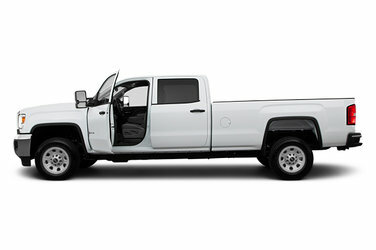 On 3500HD Sierra model, included and only available with Sierra Convenience Package or Sierra Convenience Plus Package. Includes auto-dimming interior rear-view mirror. SEATS Front 3-passenger cloth 40/20/40 split bench with driver and front-passenger manual recline, manual driver lumbar control and outboard head restraints. Includes centre fold-down armrest with storage. Folding rear 3-passenger bench. Double Cab models only. Includes child seat top tether anchor. Folding rear 60/40 split 3-passenger bench. Includes child seat top tether anchor. On Sierra trim, Crew Cab models only. On SLE and SLT trims, Double and Crew Cab models only. Front 3-passenger vinyl 40/20/40 split bench with driver and front-passenger manual recline and outboard head restraints. Includes centre fold-down armrest with storage. 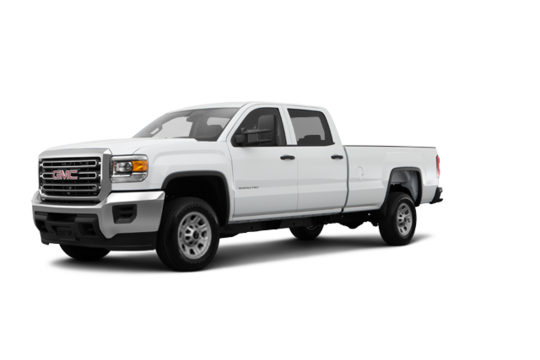 SIERRA CONVENIENCE PACKAGE Includes exterior heated power-adjustable mirrors, Remote Keyless Entry, remote locking tailgate, Rear Vision Camera, 110-volt power outlet, LED cargo box lighting and deep-tinted glass. Includes power windows on Regular Cab models. SIERRA CONVENIENCE PLUS PACKAGE Includes exterior heated power-adjustable vertical trailering mirrors, Remote Keyless Entry, remote locking tailgate, Rear Vision Camera, 110-volt power outlet, LED cargo box lighting, deep-tinted glass, 178 mm diagonal Colour Touch Radio with IntelliLink1 and Trailering Equipment Package. Requires Crew Cab model. Not available with Sierra Convenience Package or Duramax 6.6L Turbo Diesel V8 engine. GOOSENECK/FIFTH-WHEEL PREP PACKAGE Includes hitch platform to accept gooseneck ball, drilled box holes and box-mounted trailer harness with connector. Requires Trailering Equipment Package, spray-in bedliner and trailering mirrors. SNOW PLOW PREP PACKAGE Includes power feed for back-up and roof emergency light, 220-amp alternator, forward lamp wiring harness, provisions for cab roof-mounted lamps/beacon, Underbody Shield Package and increased Front Gross Axle Weight Rating (FGAWR). 4x4 models only. Alternator upgradeable to dual, 150 amps and 220 amps each with Duramax 6.6L Turbo Diesel V8 engine. See your dealer for more details. UNDERBODY SHIELD PACKAGE Includes frame-mounted shields, front underbody shield starting behind front bumper and running to first cross member, oil pan, differential case and transfer case. Included with Snow Plow Prep Package or Z71 Off-Road Suspension Package. DRIVER INFORMATION CENTRE with 3.5" diagonal monochromatic display. Provides warning messages, odometer, trip odometer and basic vehicle information. TEEN DRIVER A configurable feature that lets you activate customizable vehicle settings associated with a key fob, to encourage safe driving behaviour. It can limit certain vehicle features, and it prevents certain safety systems from being turned off, if equipped. An in-vehicle report card gives you information on your teen’s driving habits and helps you to continue to coach your new driver. TIRE PRESSURE MONITORING SYSTEM Includes Tire Fill Alert on all Single Rear Wheel models. Does not monitor spare tire. WINDOWS Manual. Standard on Sierra Regular Cab only. 110-VOLT POWER OUTLET In-cabin, 3-prong, household-style outlet. 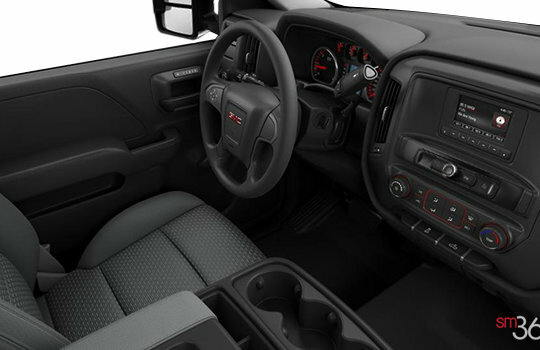 On Sierra trim, included and only available with Sierra Convenience Package or Sierra Convenience Plus Package. On SLE trim, included and only available with the SLE Preferred Package or SLE Preferred Plus Package. DEFOGGER Rear-window electric. On SLE trim, included and only available with SLE Preferred Package, SLE Preferred Plus Package or SLE Convenience Package. All-weather floor liners (dealer-installed). On SLE trim, included with SLE Preferred Plus Package. REMOTE KEYLESS ENTRY On Sierra trim, included and only available with Sierra Convenience Package or Sierra Convenience Plus Package. Includes remote locking tailgate. REAR-VIEW MIRROR With auto-dimming feature. Included and only available with outside heated, power-adjustable vertical trailering mirrors on 2500HD SLE and 3500HD with Sierra trim. Why not try the 2018 GMC Sierra 3500HD?